Yet another gift card scam has been caught by our filters, this time targeting Australian fast-food restaurant Hungry Jack’s. It claims you have been selected to receive 4x$250 gift cards to spend in store. What a great offer! – if only it were true. Do not click any links in this email and delete it immediately. 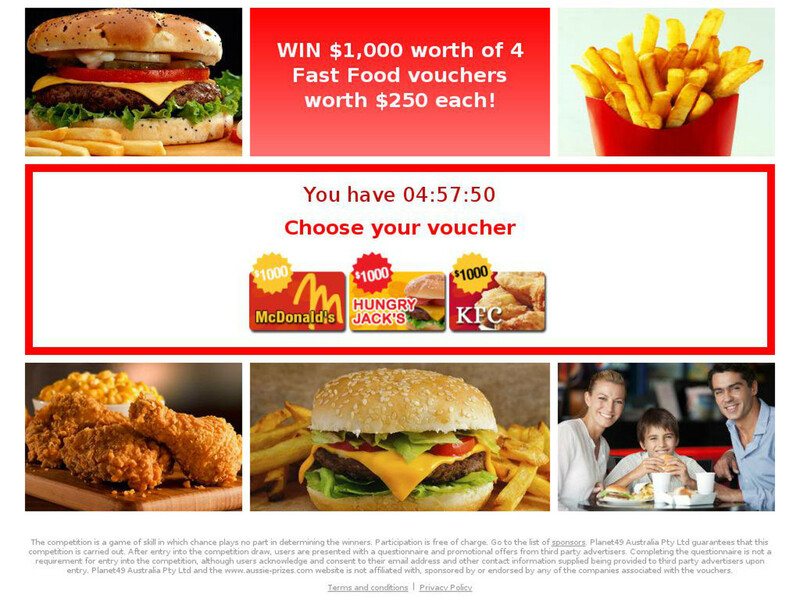 Refer to Figure A for a copy of the email said to be sent by “Hungry Jacks vouchers” – the subject line reads the same. 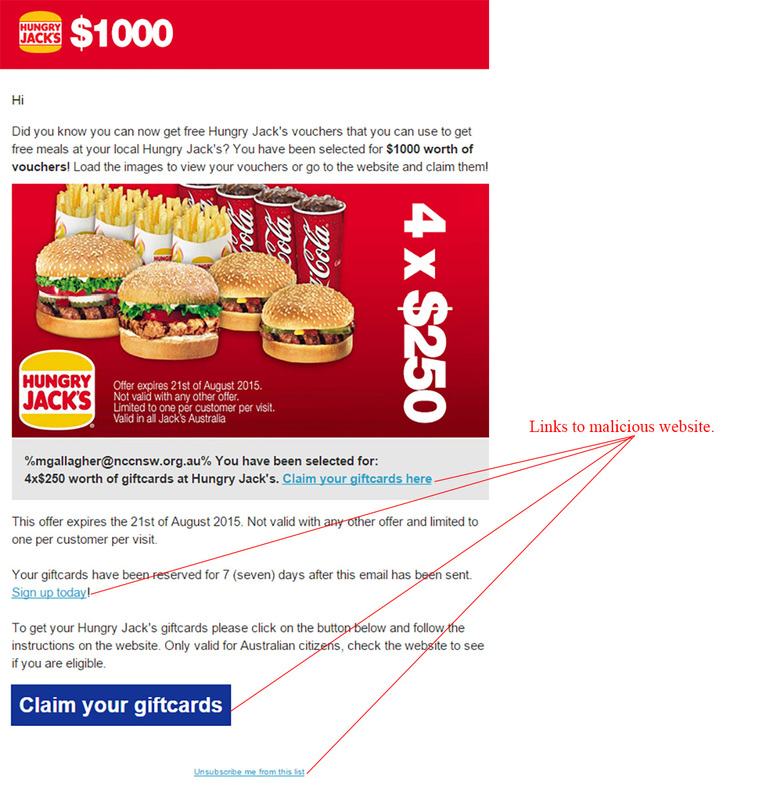 It has a mediocre attempt at the branding and design of an official Hungry Jack’s email, and can clearly be identified as a scam. Figure B is a screenshot of the website you will reach if the link it clicked. Notice the timer pushing you to click through and the question asking which voucher you would like. It looks as they have used old branding material to create a Hungry Jacks looking website. Even the terms & conditions at the bottom are an attempt to convince you of its authenticity. Do not click any further if you see this screen – your computer may already be at risk. Do not click any links in this email including the unsubscribe link at the bottom. You can see they are suspicious by hovering over them before clicking. They do not go to the official Hungry Jack’s website. This email has an aim to get you to visit the malicious website which will then infect your computer. Stay safe and delete this email from your inbox if received.